Craggy Range, New Zealand. Photo courtesy of Craggy Range. Lime leaf and lemongrass; passion fruit and asparagus; grapefruit, gooseberries, and tomato stem. Bracing, bright, and intense. This is what the world has come to know of New Zealand Sauvignon Blanc. It’s a style that has amassed both love-it and hate-it contingencies. Those in the former camp praise its characteristic brightness and concentrated flavor. Those in the latter group complain of its intense pungency and assertiveness. No matter the reason, these wines lend themselves to fairly broad generalizations. Considering that the range of Sauvignon Blanc is so well appreciated in wines from France, especially in the Loire Valley and Bordeaux, regions not 300 miles from one another, it’s perplexing that New Zealand Sauvignon Blanc is perceived to be so one-dimensional. Its regions of production span more than 1,000 miles of diverse topography, soil, and climate. The truth is that for so long, the point of entry for most drinkers has been the widely available, inexpensive New Zealand Sauvignon Blanc, which can be quite predictable. That said, intrepid producers and regional distinctiveness emerge with a little bit of digging, opening a remarkably expansive category. Kiwi Sauvignon Blanc is a clear-cut success story. Though evidence of vineyard plantings date as far back as the early 1800s, the country’s modern wine industry really took off in the 1970s. The effort was accelerated by the New Zealand wine-pull scheme of 1986, in which the government offered growers $5,000 per acre to replace vineyards—primarily planted with Müller Thurgau—with Sauvignon Blanc and other classic European grape varieties. It was around this time that Cloudy Bay Vineyards introduced Sauvignon Blanc to the global market; now it produces more than 100,000 cases of the variety a year. Today, New Zealand has about 86,000 acres of vines, more than 65 percent of which is Sauvignon Blanc. Taking a closer look, New Zealand Wine’s 2016 annual report revealed that more than 66 percent of the wine produced in the country is exported. Roughly 86 percent of that is Sauvignon Blanc. Digging deeper, Marlborough produces 77 percent of the wine made in the country, 85 percent of which is Sauvignon Blanc. 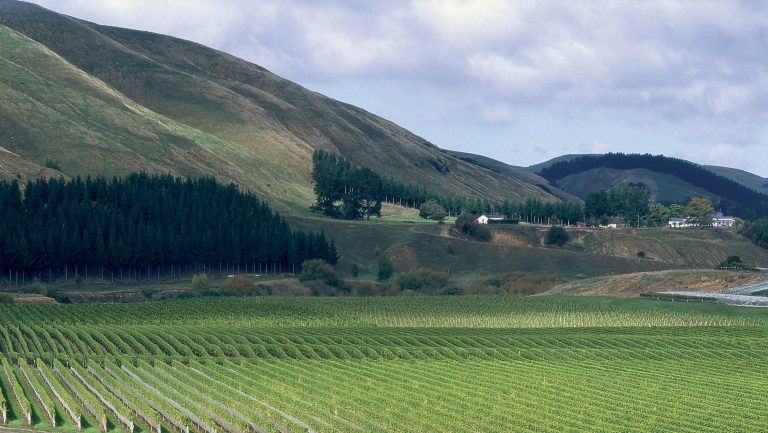 The majority of the Marlborough wine is from New Zealand’s bigger producers, such as Brancott Estate, Kim Crawford, Villa Maria, and Cloudy Bay. In an effort to achieve consistency from year to year, much of this wine is blended from a number of different sites from across the region and bares either the Marlborough or broader New Zealand appellation. 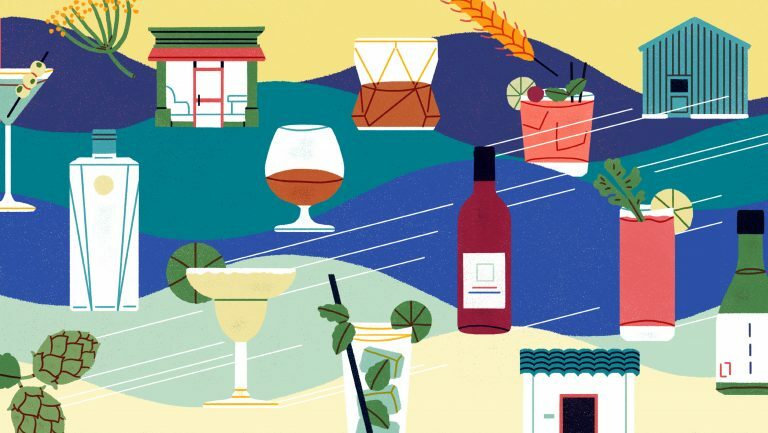 This abundance of large-production wines has given drinkers in the U.S.—and the world, for that matter—a skewed impression of what New Zealand has to offer, and that’s something more and more of the country’s top producers are trying to make apparent to the consumer. There’s no question that internationally, Marlborough, on the South Island, is the most recognized wine region in New Zealand. But within its 60,000-acre expanse are a variety of different microclimates that can reveal different characteristics of Sauvignon Blanc. In the cool and dry river floodplain of the Wairau Valley, 45 percent of Marlborough’s plantings are on variable soils, from stony river wash to fine, deep alluvium. The glacial outwash of older soils with stony gravel and higher levels of clay in the southern valleys accounts for 25 percent of the region’s vineyards. And the alluvial and clay soils of the Awatere Valley hold 30 percent of the region’s vineyards; this is considered the coolest and driest area in Marlborough. It’s true that the trend for many Marlborough producers has been to hang their hats on a recipe that works well in the global market, subscribing to a regime of high-yielding crops, machine-harvested fruit, and fermentation temperatures that encourage certain aromas and commercial yeasts that call forth notes of passion fruit, gooseberry, and jalapeño. This style is fresh and recognizable, yet the wines are virtually indistinguishable from one to the next. But there are some in New Zealand who are zeroing in on methods that produce a more refined style of Sauvignon Blanc by focusing more on meticulous vineyard management, with multiple fruit pickings during a harvest to capture more variance in flavors, and allowing indigenous yeasts to provoke more intriguing wines. These practices are all fairly common for producers in the Old World, particularly in cooler climates. 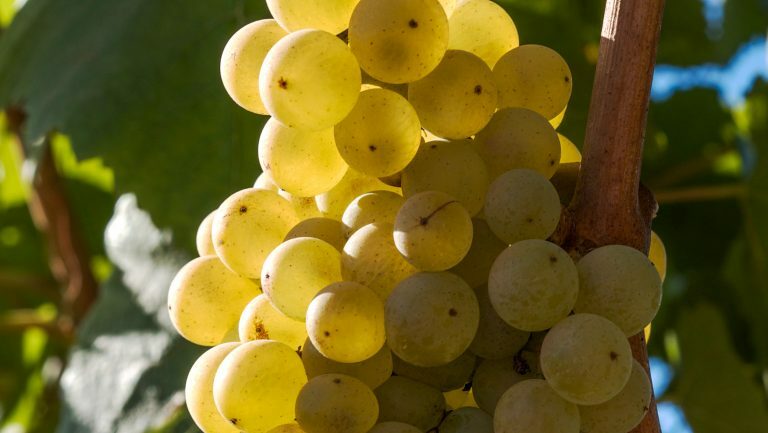 But with the great Sauvignon Blanc boom, it’s taken some time for New Zealand producers to realize the potential for Sauvignon Blanc when farmed and produced in the same way as other iconic cool-climate wines. Many wineries, including Fromm, Rock Ferry, Huia, and Clos Henri, have taken their lead from pioneers like Seresin Estate. 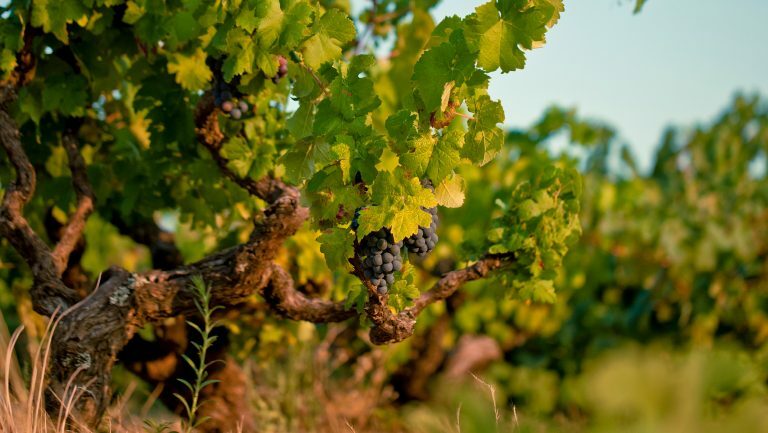 Since its start in 1992, Seresin has taken a deliberate approach to producing terroir-driven wine. Farming more than 160 hectares of certified organic and biodynamic vineyards, and producing some 40,000 cases of Sauvignon Blanc annually, it is the largest wine program of its kind in the country. Winemaker Clive Dougall says the point of differentiation for Seresin Sauvignon Blanc begins in the vineyard. Dougall also cites a regimen of handpicking, little to no fruit-skin contact, gentle whole-bunch pressing, and as little sulfur as possible. In the winery, it’s the native yeasts from the vineyard that take over during warmer fermentations, which he employs for all his Sauvignon Blanc production. Even at a winery like Villa Maria, New Zealand’s third-largest producer, the significance of place within Sauvignon Blanc is not lost on its team of winemakers. Specifically, Villa Maria’s Marlborough winemaker, Helen Morrison, has toyed with lower skin contact, whole-bunch pressing, and single-vineyard selections to put forth more terroir-specific, smaller-production wines such as the Villa Maria Taylors Pass Vineyard Sauvignon Blanc. While Marlborough may have established itself as the Sauvignon Blanc hub, the grape also reigns in Martinborough, Hawke’s Bay, and even Central Otago. Photo courtesy of Craggy Range. On the North Island, in Hawke’s Bay, Sauvignon Blanc takes on a more tropical edge compared with Marlborough. Just off the shores of Hawke’s Bay, Elephant Hill produces a delicate Sauvignon Blanc with softer aromatics and a prominent salinity that’s no doubt due to the sea breezes coming off the bay, hundreds of yards away. Here the vineyards are picked early, with multiple passes during harvesting to avoid tropical flavors and emphasize more citrus character in the finished wine. Farther south on the North Island, in Martinborough and Wairarapa, Sauvignon Blanc offers a more delicate version of itself. Craggy Range, based in Hawke’s Bay, farms the majority of its site-specific wines near the winery, but its Sauvignon Blanc is grown in both Marlborough and Martinborough, each of which delivers its own compelling character. Stafford says that making two distinctive Sauvignon Blancs means relying heavily on the vineyards. 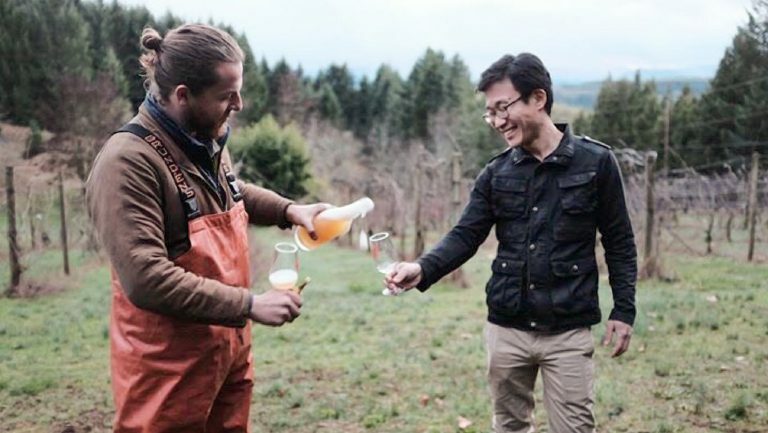 “Our goal is to get the wines to ferment and evolve slower so they find their own harmony. We do this by managing the vines differently based on soil variations. We use five different pruning/vine trellising systems alone to achieve vine balance.” For example, vertical shoot positioning is used on the moderate-vigor blocks with lighter soils; Scott Henry trellising is used on the heavier soils to aid fruit exposure; and Lyre trellising is used to effectively divide the canopy and increase fruit exposure. In the end, Stafford feels this contributes more fruit weight and a better platform for the wines to evolve texturally within the cellar. 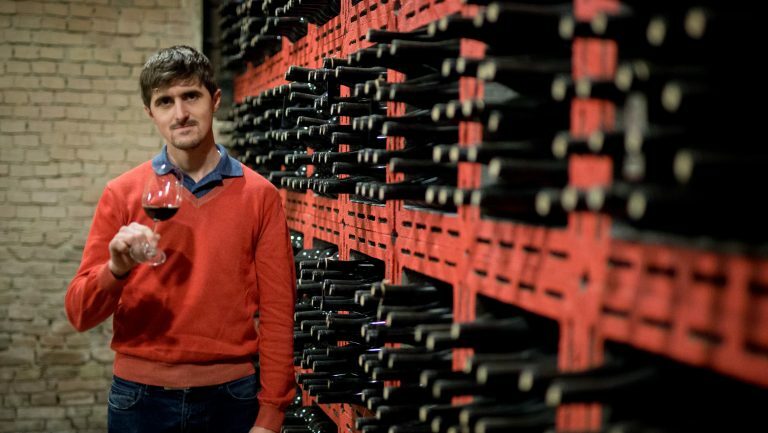 The truth is, you’re likely going to pay a little more for these wines, and they’re certainly considered more of a hand-sell, but for those New Zealand naysayers out there, they are worth the investment. The seven wines below prove that New Zealand Sauvignon Blanc can indeed be complex and nuanced, revealing a glimpse into the terroir of this incredibly varied place country. Established by two former Cloudy Bay pioneers, Dog Point Vineyard has developed a cult following over the past 10 years. Dog Point’s flagship Sauvignon, Section 94, derives its name from the original survey title of the property, which sits at the intersection of the Brancott and Omaka valleys in Marlborough. Barrel fermented using indigenous yeast, this wine can be a bit funky but has great fruit character with notes of yellow stone fruit, lime, and underripe melon. From Hawke’s Bay’s more maritime climate along the east coast of the North Island, Trinity Hill’s Sauvignon Blanc comes from three vineyard sites: Raukawa, Porangahau, and Mangatahi. Fermented in stainless steel and aged on lees for eight months, this wine embodies a freshness of rich tropical and stone fruit—a notable characteristic of Hawke’s Bay—and tart key lime. Another Marlborough bottling, this single-vineyard Sauvignon Blanc is aged by Giesen on its lees for 11 months in a new German Fuder, a 265-gallon German oak barrel—a nod to the German heritage of the three Giesen brothers. The result is an added depth and broadness to the palate not commonly found in New Zealand Sauvignon Blanc. Influenced by the glacial lake waters of Central Otago’s Lake Wanaka, the Sauvignon Blanc grown here is uniquely situated in the country’s coolest continental climate. Grown in abundantly schistic soil, this wine from Rippon is shy in aromatics, save for a distinctive crystalline presence on the palate with hints of frozen lemon pulp. This wine is sourced from the lower gravel- and limestone-rich soils of Craggy Range’s cooler Martinborough Te Muna Road Vineyard. Winemaker Matt Stafford generally harvests this higher-elevation plot a week later than most other Martinborough sites to give weight to the fruit, alongside its perceptible acidity. With subtle notes of lime leaf, white grapefruit, and jasmine, this wine has a finish that’s reminiscent of a riper Sancerre. To make his top-notch, biodynamically farmed Sauvignon Blancs, winemaker Clive Dougall works with lower yields and riper fruit than most other producers. Little skin contact and whole-berry pressing followed by wild yeast fermentation set the stage for the finished product, which is led by aromas of ripe apricot and lime peel. The palate is crisp and layered with wet limestone on the finish. On the north banks of Marlborough’s Awatere River, this vineyard is planted in soils that range from silty to stony gravel. Winemaker Helen Morrison seeks riper fruit at harvest to yield a more full-flavored style of Sauvignon Blanc. Barrel fermentation and 10 months on lees add appealing body, but a mineral-driven backbone is this wine’s most defining characteristic. Jessica Dupuy is a wine, spirits, and food writer based in Austin, Texas, whose credits include work in Texas Monthly, Imbibe magazine, Wine Enthusiast magazine, Sommelier Journal, and The Tasting Panel magazine and with the Guild of Sommeliers. A Certified Sommelier, Certified Specialist of Wine, and Certified Specialist of Spirits, she holds an Advanced Certificate with the Wine & Spirit Education Trust. Dupuy keeps her palate sharp through travel, reading, and endless tasting.